Brazil’s stadium Estádio Governador Magalhães Pinto, or Mineirão for short, got a new rooftop solar array in preparation of the 2014 FIFA World Cup. As the tournament approaches in just under a year (tickets went on sale today! ), officials recently cut the ribbon on the Minas Gerais stadium’s newly minted array, which ushers in an era of greener World Cup events. The stadium joins Mané Garrincha stadium, which will have a 2.5 MWp solar array that will provide enough solar energy to power nearly half of the stadium. German bank KfW and CEMIG provided funding for the massive $16.1 million stadium power plant project. The 1.4 MW solar array lines the stadium’s circular rooftop such that the sports arena doubles as a renewable energy plant. Surprisingly, solar energy generated by the Mineirão will not be directly used by the stadium; instead it will be distributed to surrounding homes surrounding, giving back to the local grid with clean energy. Estadio Mineirão has opened its solar-savvy doors just in time for the 2013 FIFA Confederations Cup on June 17th, which includes three semi-final international games. 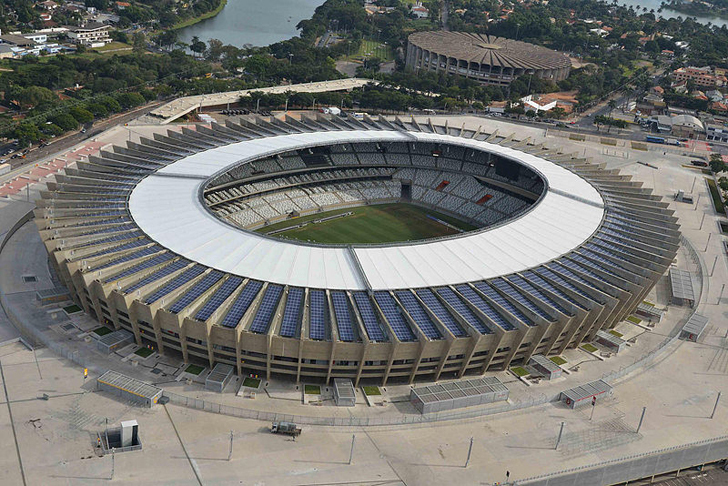 Mineirão is just one of the stadiums that Brazil is outfitting with solar arrays. 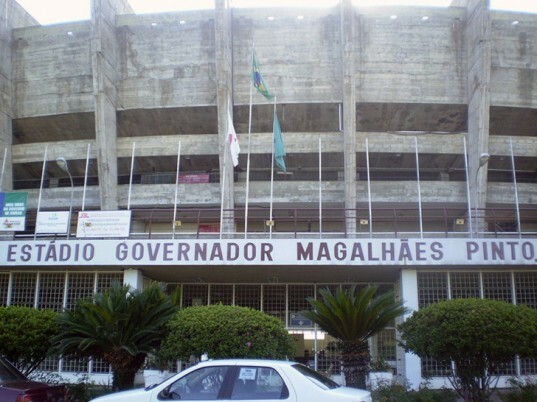 Maracana stadium in Rio de Janeiro is already being equipped with a 1,500 solar panel rooftop, and Pernambuco Stadium will be outfitted with solar heating for kitchens, toilets and locker rooms. Brazil will use its hosting of the 2014 FIFA World Cup as an avenue to show the world that it is a contender in global green energy. Brazil’s stadium Estádio Governador Magalhães Pinto, or Mineirão for short, got a new rooftop solar array in preparation of the 2014 FIFA World Cup. As the tournament approaches in just under a year (tickets went on sale today! ), officials recently cut the ribbon on the Minas Gerais stadium's newly minted array, which ushers in an era of greener World Cup events. The stadium joins Mané Garrincha stadium, which will have a 2.5 MWp solar array that will provide enough solar energy to power nearly half of the stadium.